This is a Bulk/Wholesale Lot of 48 Beach Balls. Also available individually. 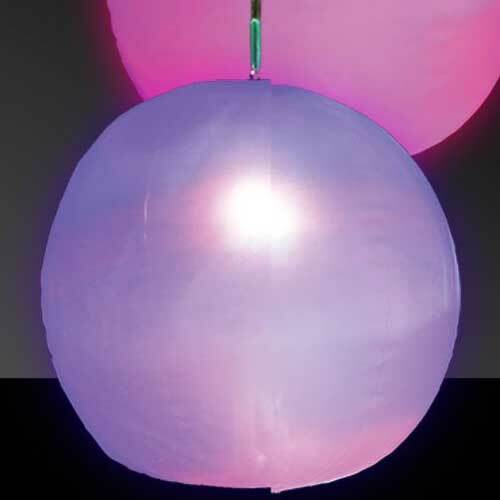 Make the summer nights into something memorable with our Multi-Color LED Beach Balls. These light up beach balls are perfect for luaus, pool parties, clam bakes, beachside bashes, or any tropical-themed party. 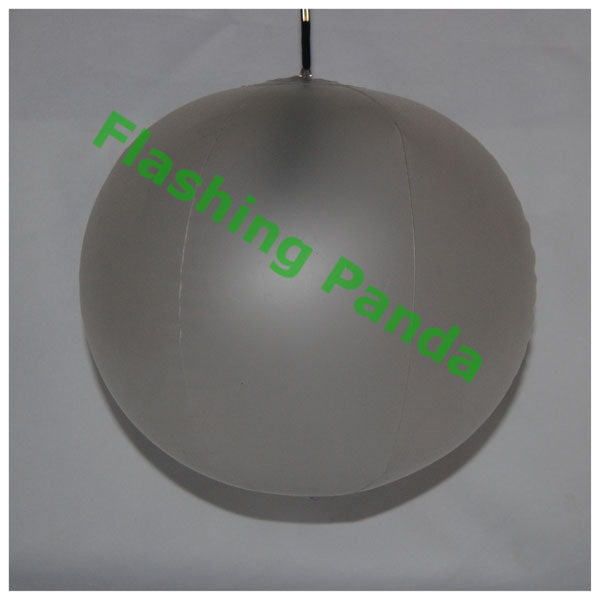 These multi-color lighted beach balls measure 12 inches in diameter when inflated and light up with a 2.5 inch LED stick that is inserted inside the ball. 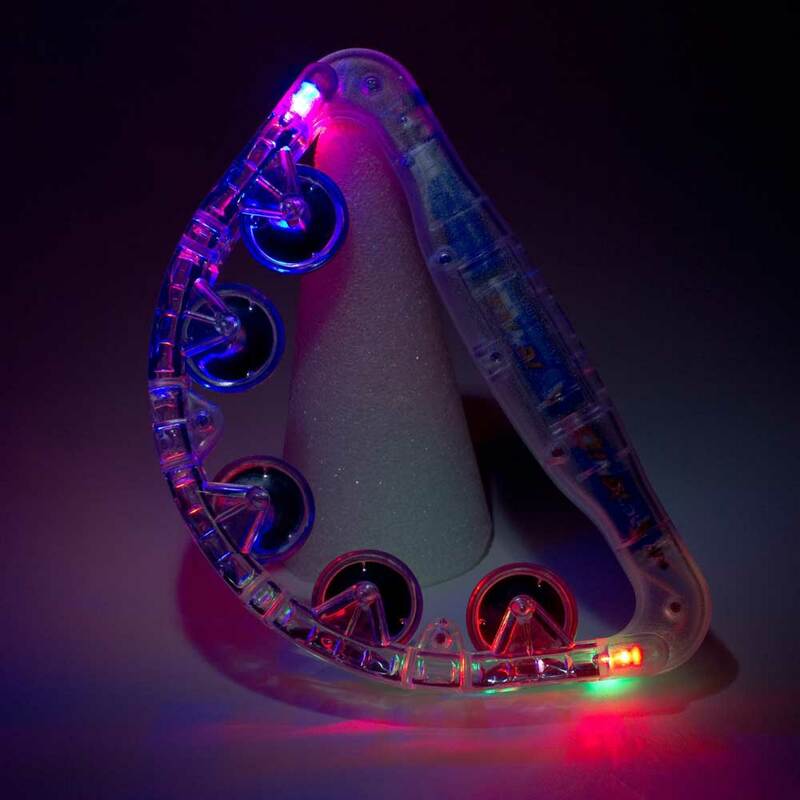 Set the LED stick to any of the 6 modes to match any party theme. They are also great as lanterns or table decorations. 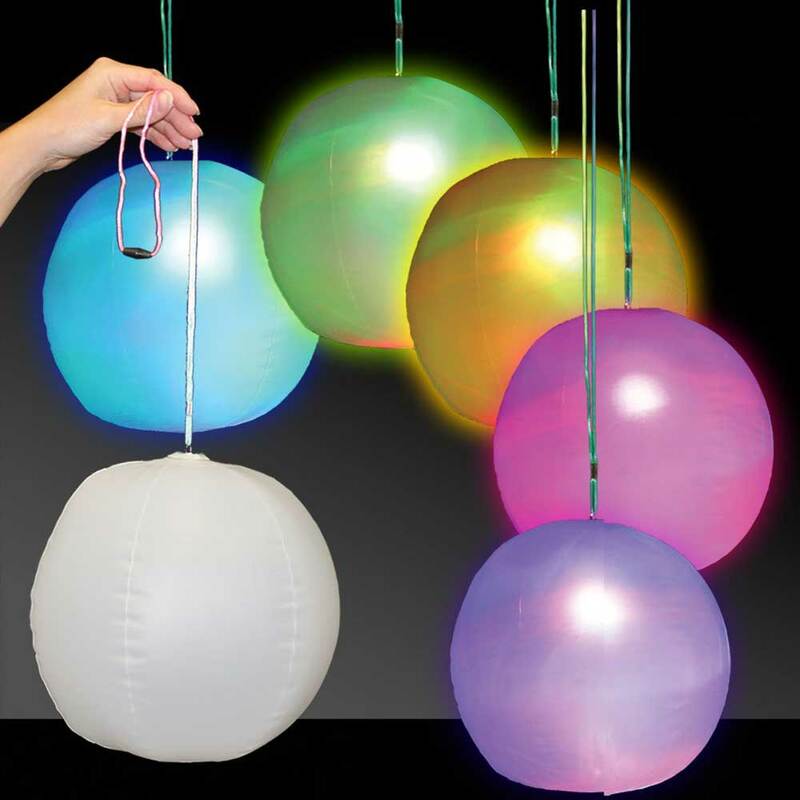 Kids will love playing with these lighted beach balls. These beach balls are INTENSE. 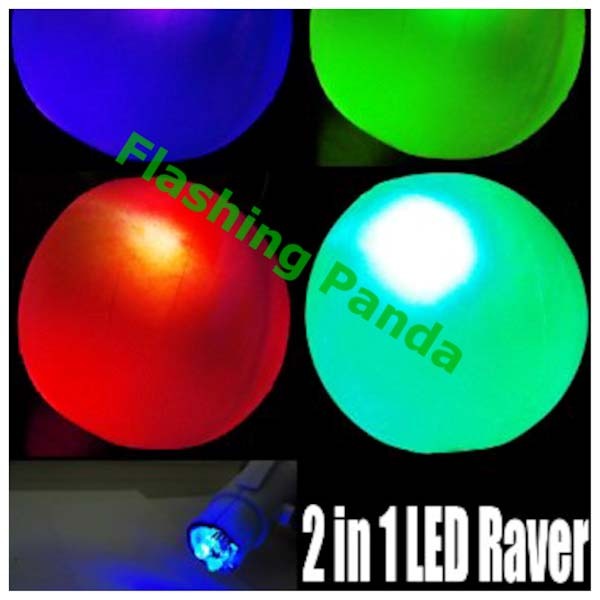 They include 6 different modes, strobe, slow color changing, all colors mixed solid on, flashing red, green and blue. 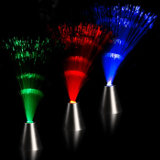 The Strobe mode creates flashes of red, green and blue. The slow color change mode beautifully morphs through the colors allowing it to be used in combination with any other color! A great Gift Idea! These wands make great gifts for any occasion and are great for that hard-to-shop-for person. If you're looking for a really cool gift, look no further! Warning! Light element is NOT water resistant. Avoid exposure to water. 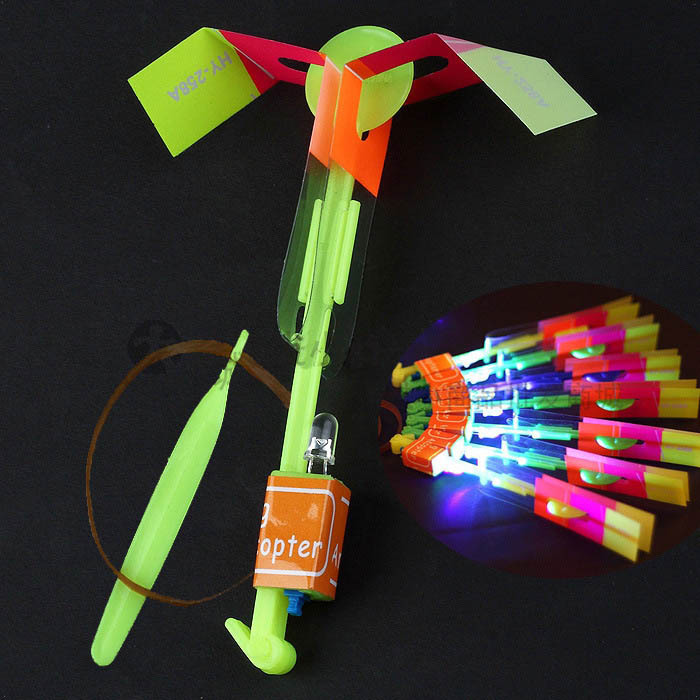 The Ultimate Dance and Party Accessory!